Toronto, April 11: The Blue and White party, headed by former Israeli army chief of staff Benny Gantz conceded defeat to Likud party’s Benjamin Netanyahu after the incumbent prime minister managed to bring together right-wing allies to claim a majority in the country’s parliament – the Knesset. Gantz and Netanyahu, both won the same number of seats in the 120 seat Knesset at 35 each but other right-wing parties along with Likud party together have 65 seats versus 55 for the Blue and White party plus allies. An alliance requires 61 seats in the Knesset to form the government in Israel. 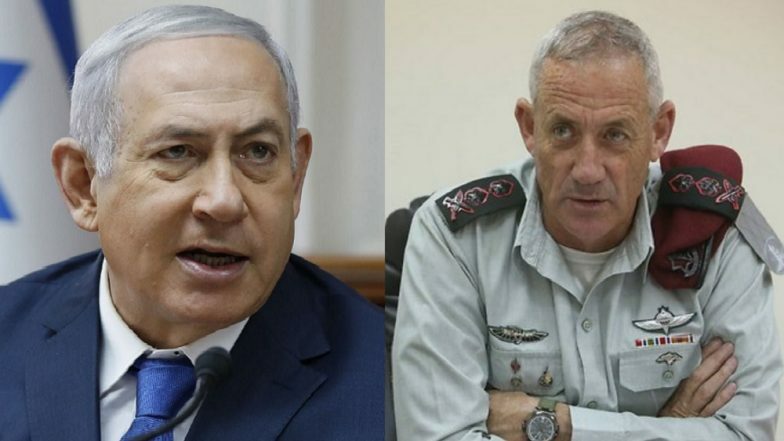 Gantz’s concession paves the way for Benjamin Netanyahu to become the prime minister of Israel for the fifth time – breaking Israel’s first Prime Minister Ben Gurion’s record. Netanyahu’s re-election as prime minister holds great significance for the region as a whole as he has increasingly rejected peace talks with Palestinian leaders and last week promised to annex Jewish settlements in the West Bank. The annexation would extend full Israeli sovereignty over Jewish settlements which are widely considered illegal under international law. This would also in effect be a complete rejection of the two-state solution for the Israel-Palestine conflict.